Diamond Princess has begun it;s extensive drydock at the Sembawang shipyard in Singapore. The ship is being upgraded ready for an extended season cruising from Tokyo, Japan. The upgrade will cost $30 Million and will being many new features to the Princess Cruises ship. The refurbishment started yesterday and is set to be completed by April 2nd 2014. One of the main highlights of the upgrade is the new Bath and Garden complex at 8,800 square foot. Bathing locations will be inside and outside and will offer a unique way for guests to relax aboard the ship. This has been added to dedicate the Diamond Princess more towards Japanese passengers. Stones and natural materials will also add to the bathing experience. In addition to the new bath space the ship will get a new Sushi dining venue called Kai Sushi which has already proved to be popular on the Sun Princess cruise ship. The gift shops will be improved to offer items which will interest Japanese guests. The Buffet area will be refurbished with a new fresh look. There will be a lot more upgrades throughout the entire ship including 14 new cabins which for sure will have all the latest stateroom features. Cruise hive is excited to see the outcome of the ships extensive drydock and will be keeping an eye on the daily images that the cruise line will be releasing from the drydock. 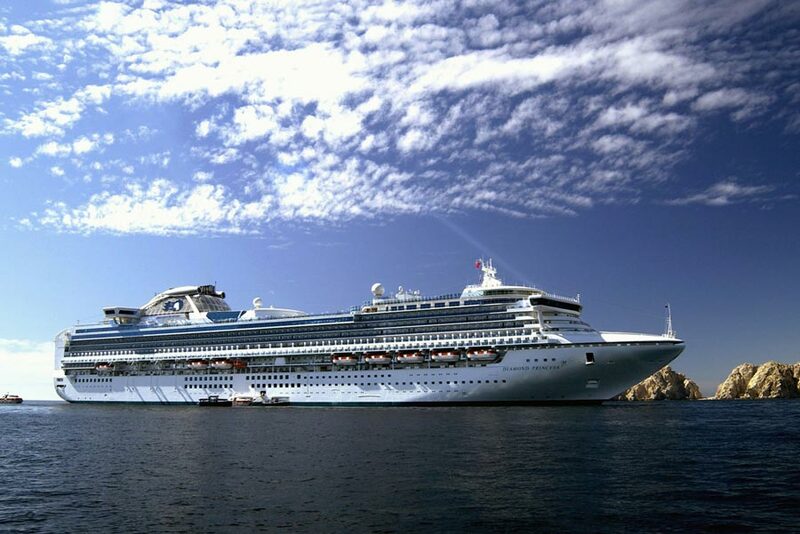 Diamond Princess will start sailing a new season from Tokyo, Japan on April 17th 2014. The ship will sail 9-day cruises and there will be a one time special 10-day cruise to celebrate Diamond Princess’ 10-year anniversary.